The Explorers Club flag has an illustrious history dating back to the early 1918. The Flag has flown at both poles, from the highest peaks of the greatest mountain ranges, traveled to the depths of the ocean, to the lunar surface, and outer space. A flag expedition must further the cause of exploration and field science. The award of the flag is a significant accomplishment. Since 1918, the flag has been carried to all of the Earth’s continents, as well as under the sea and into the stars. To date, 850 explorers have carried the flag on over 1450 expeditions. In 2017, the Fourni Underwater Survey was awarded flag #211 for the significant contributions to exploration being made by the team. A report of the expedition will forever be a part of documented history of the Explorers Club. 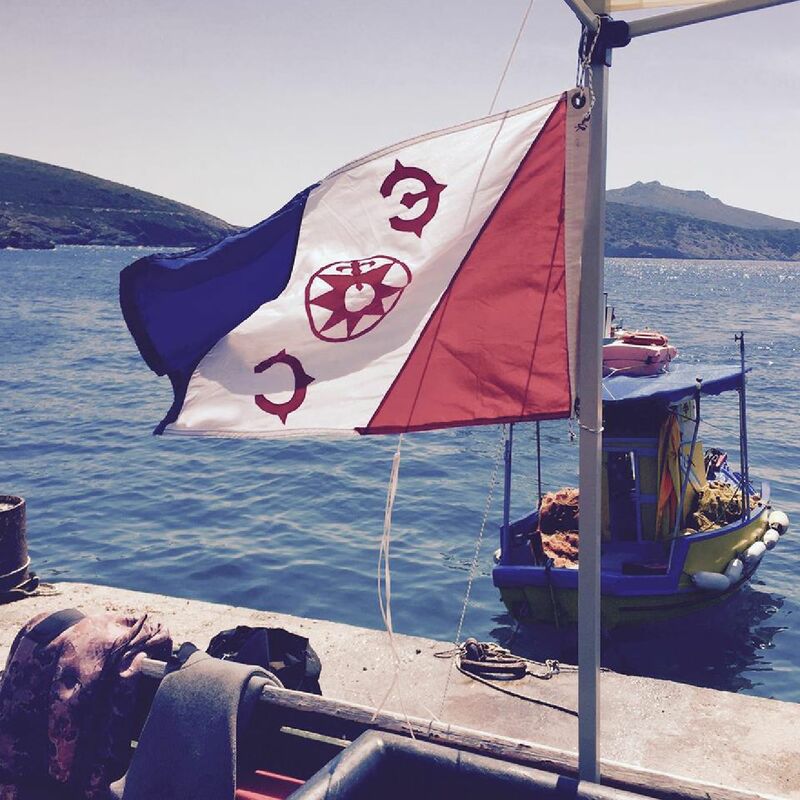 Carrying an Explorers Club flag into the field places Korseai’s research, and Fourni as an underwater archaeological site of extreme importance on the world’s mainstage of exploration. Flag #211 is a specifically designed dive flag and the Fourni Underwater Survey 2017 was its 6th expedition, it has previously flown in the Caribbean, Israel, Canada and Curacao.